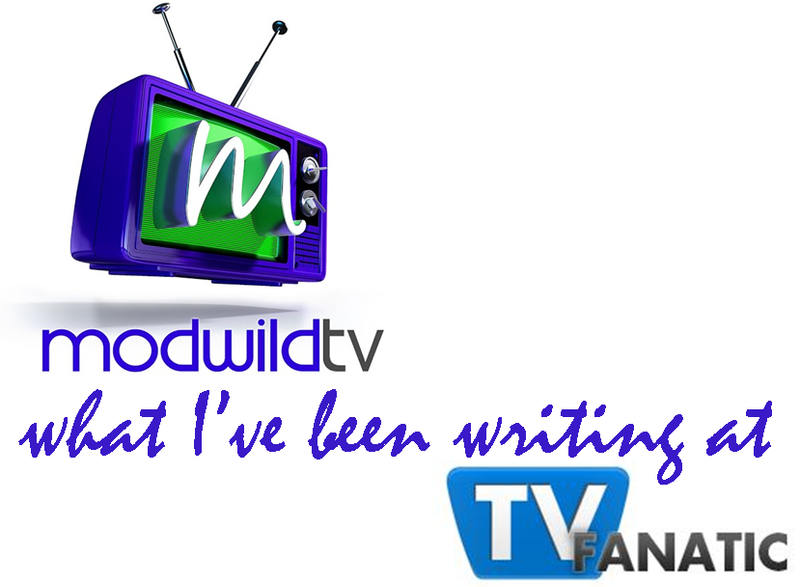 ModwildTV: Over at TV Fanatic: #YnR recap ~ Is Paul Dylan's daddy?? Over at TV Fanatic: #YnR recap ~ Is Paul Dylan's daddy?? All things considered, this week was more evenly paced than most on The Young and the Restless and yet we still had bombshells dropped in the last moments of Friday's episode. Michael: Yes, I'm fine, but how could a door be such a hazard? I could have been knocked unconscious, just lying there, spinning for hours! Paul: No, no, we would have discovered your drying carcass and I would have had you removed in five, ten minutes flat, easy. Am I the only one who lives for the lighthearted moments like this that remind us how well the characters know and like each other? Before we get to the speculation about Paul and Dylan, let's hit the other highlights of the week. Neil and Leslie broke up. It wasn't a surprise when they wanted such different things, but it was still heartbreaking to watch. There are obviously some issues Leslie needs to deal with regarding marriage. Neil threw her a bone and even offered that they go to counseling together so they could try to find out what's going on, but she's as steadfast in her views as he is in his. Neil believes if you love someone you want to show your commitment and leave a lasting legacy through marriage. His talking points about what the gay community has been fighting for didn't move Leslie in the slightest. Time will tell if there is more to this story. I really liked the spark between Devon and Hilary this week. Right after Neil gave Devon a pep talk about keeping his hands on GCAC and not giving up, the two talked a bit about Devon's "girlfriend," before that gal pulled him away with Devon making a backward glance and the lady who really caught his eye. This needs to be explored. Thanks to Victor, Chelsea got a swift resolution to Connor's kidnapping. Chloe and Kevin even returned home on the Newman jet to Genoa City. Chloe was arrested on federal charges despite the fact Chelsea decided against pressing charges (there's no stopping the feds!) and everybody was happy. Except Jack. Jack knows Victor far to well to believe there isn't an ulterior motive behind helping Chelsea. So what does he want? Connor. Does he merely want access or is he going to try to gaslight her like he's doing to Sharon? Chelsea received a phone call that she thought was from Adam, so anything is possible. Things were not going too well for Billy and Victoria and no matter how hard Billy tried to assure Vickie that he only slept with Kelly once out of a morbid connection through grief, it did nothing to temper the situation. It really doesn't help that Billy and Kelly can't seem to stay away from each other, either. We're still not entirely sure who Kelly is or what her connection is to Stitch. Are they related? Ex lovers or spouses? In any event, their circle got a little more whacked out when Vickie leaned into Stitch at the gym for a kiss. If it had been out of passion and not desperation, that might have been something to look forward to. And, finally, everyone caught on to the trouble Summer was in with Ian Ward within about the same period of time. Nikki found Summer's photo with Ian and Faith blurted out to Dylan and Nick that she recognized his alias as the Summer's new friend. Nikki had gotten to Ian first and rescued Summer, who ran to Paul. Nikki was making a deal to pay off Ian to go away and in the meantime Dylan and Nick were on the way. It all ended with Dylan, Ian and Paul in the room together with a bag of money in a lady's bag. I loved that -- Paul asking if the flowery pattern was Ian's choice. Ian was being his snarky self and made a comment about Paul and Nikki in the past, saying about Paul, "You should have seen him Dylan, blond hair, blue eyes, oh and the muscles." WTF? A bit odd, right? Dylan was about ready to kill Ian with his bare fists when Ian blurted if he did he'd never know his secret. Read the remainder of the review and take the poll over at TV Fanatic! !